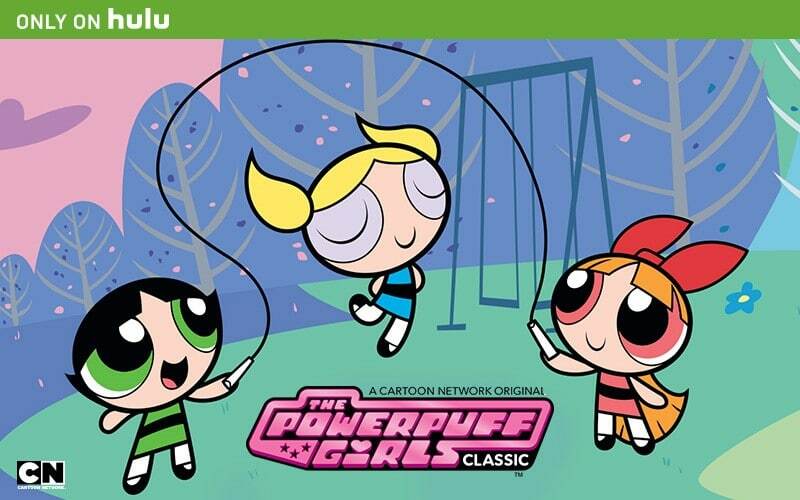 Oh yes.. this bookmark has been a long time coming… we have had MANY requests for The Powerpuff Girls and **finally** we have the perfect opportunity for sharing them: The Powerpuff Girls are now on Hulu!!!! Did you know that Hulu is now the only place to find the full classic animated series The Powerpuff Girls? If you are a fan (like we are), then Hulu is the place you need to head. How can you resist all that sugar, spice, and everything nice?! And there is nothing quite like saving the world before bedtime! 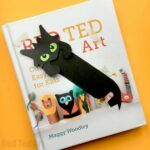 Now, you also know that we here adore DIY Bookmark Corners. 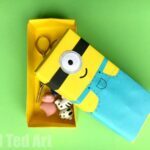 Today we share with you how to make the lovable “Bubbles”. Though you will find that the “process” for making all three Powerpuff Girls – Blossom, Buttercup, and Bubbles – is essentially the same. A great 3 for 1 craft today! Who ARE The Powerpuff Girls? Not familiar with The Powerpuff Girls?? Time you checked them out – The Powerpuff Girls centers on three sugar-coated superheroes, Blossom, Bubbles, and Buttercup, whose missions in life alternate between going to school, fighting crime, winning at hopscotch and saving the world before bedtime. The girls are frequently called upon by the town’s mayor to help fight nearby criminals using their powers. While their differences cause them to squabble and tease, their individual strengths combined always lead them to victory. They rely on teamwork, trust, and friendship to thwart evil (in the most adorable way). A square sheet of paper in pink – if you don’t have the right colour paper, you could maybe use white paper and colour with a light tan coloured pencil or watercolours and let dry! 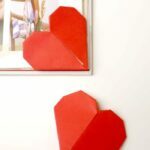 We used an A5 sheet of paper cut down to a square. 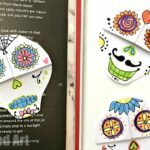 Today we have chosen a “step by step” photo process to show you how to make our corner bookmarks. 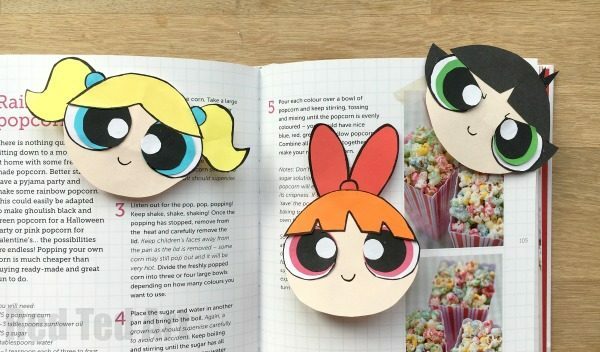 However, if you prefer, you can watch any of our DIY Bookmark Corner videos to see how to make the basic “origami folds” – then come back here to find out how to customise the origami corner bookmark and turn it into your favourite The Powerpuff Girls bookmark! 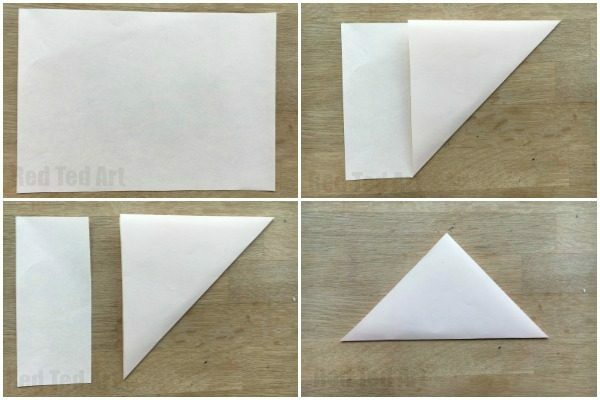 Take your A5 sheet of paper and fold over one corner to create a triangle. 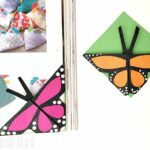 Cut off the excess and rotate your triangle so the long edge is at the bottom and the right angle faces up. 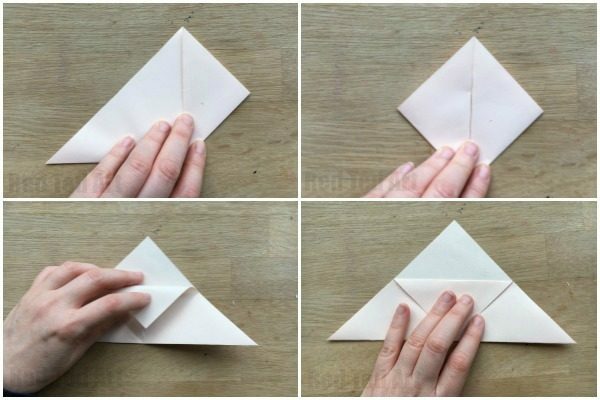 Fold the lower right corner up to meet the top right angled corner. 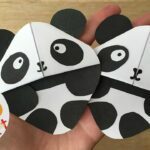 Fold these two back open. Flip down ONE of the top sheets and crease. 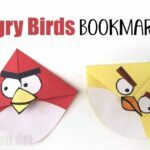 Now fold the flaps you created back up and tuck INTO your bookmark. 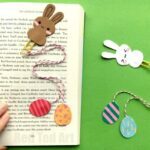 Congratulations, you have just created your basic Origami Corner Bookmark! 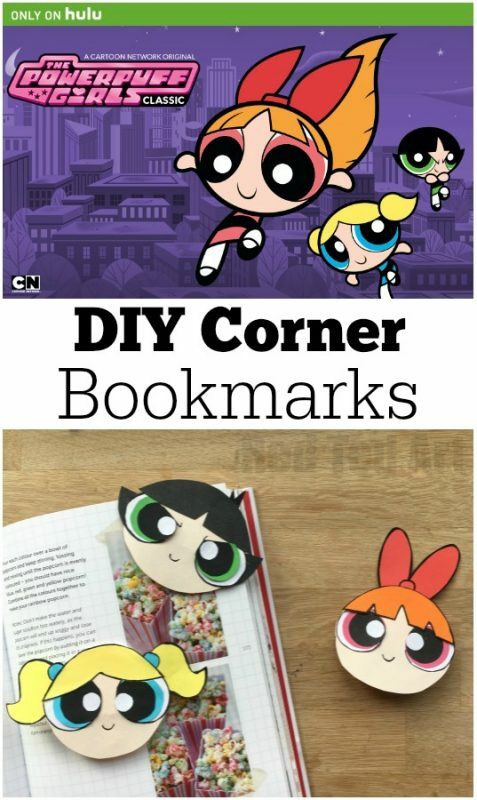 Now to decorate your Bookmark and turn it into Bubbles from The Powerpuff Girls! Start by cutting out two large white circles and some basic shapes for hair. … cut slightly smaller blue circles, then smaller black circles and some some small white circles to complete the eyes. Outline your hair and white circles with the black marker pen to give them that “cartoon feel. Cut small blue “bits” for hair bobbles that you can sometimes see in Bubble’s hair. 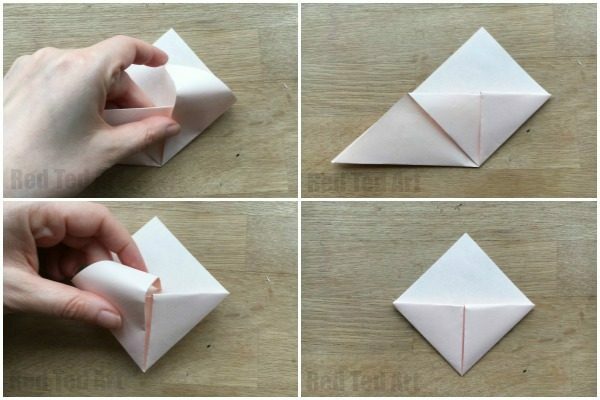 Arrange on your origami “face” and check that it looks right to you. Adjust any pieces if they need it! Now take them all off again and start gluing them on. Note that the hair overlaps the eyes a bit – so you may want to glue the eyes down first and the hair on top or even trip the eyes to fit along the hair line. 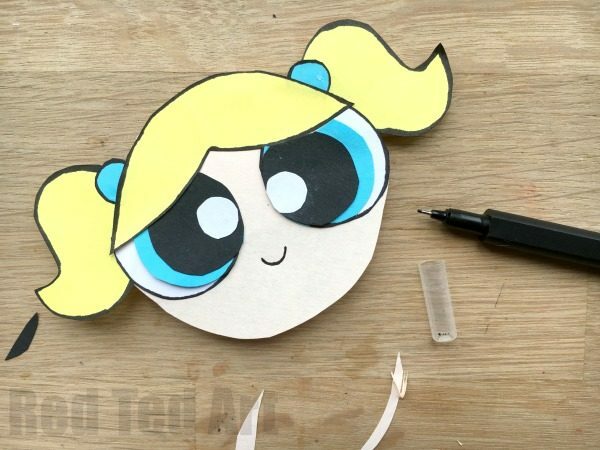 Finally add your ponytail details by sticking them onto the back of your Powerpuff Girl! 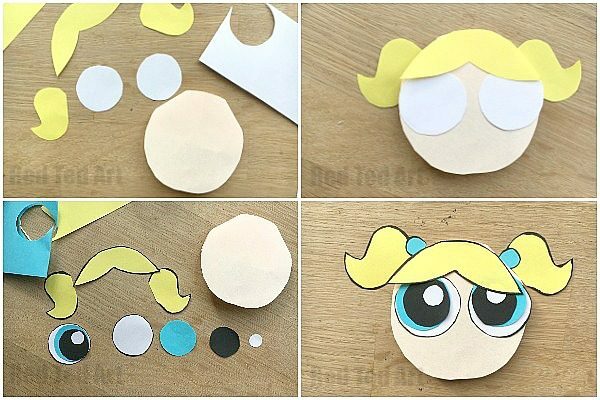 Your Powerpuff Girl Craft needs one finishing touch – a happy little smile.. making Bubbles ready to save the world at bedtime! Repeat the process for the other Powerpuff Girls – Blossom and Butetrcup. Just make different hair details for each – Blossom has orange hair with 3 little triangles snipped into it. And a “bunny ears” like bow. Buttercup has one “triangle” snipped into her hair, you will also need some little black side bits and give her a brave frown at the end. What are you waiting for? Get watching and get making!!!! Disclosure: the post is in partnership with Hulu.